The Carleton Urban Research Lab (c-url) at the Azrieli School of Architecture & Urbanism supports design-based thinking and collaborative projects centred on the entwined issues of water, cities, and equity. Historically architecture, whether at the scale of the room or the city, is based on understanding and imagining environmental conditions and technical interventions in terms that are simultaneously social, political, cultural, and artistic. New challenges around globalization, urbanization, environmental change, infrastructure, mass migration, and energy use increase the need for this type of thinking, which equally values human factors alongside quantifiable data. The Urban Research Lab was founded by Professors Ozayr Saloojee and Catherine Bonier in January of 2017, with the support of Azrieli School Director Jill Stoner, to promote this type of design thinking, and to expand research, teaching, and engagement connected to the Lab’s three central themes. Professors Saloojee and Bonier look forward to building upon their own expertise in the areas of architecture and urbanism to establish ongoing transdisciplinary collaborations with university, government, and private entities within Canada as well as internationally. C-url hosted its inaugural symposium and workshop, Fluid Infrastructures, on March 3-4, 2017. With assistance from partners in the National Capital Commission and the help of visiting designers and researchers, students investigated Ottawa’s past and present relationship to its river through tours, lectures, discussions, and design workshops. The next c-url symposium in Summer of 2018 will bring together international students and experts to envision urban waterfront redevelopment around the issues of infrastructure, environment, and equity. Professor Bonier teaches courses in architectural and environmental design, research, history, and theory. Her research spans from historical analysis to futuristic design visions, and centers on the shaping of the built environment around water, infrastructure, and ideas of health and balance. 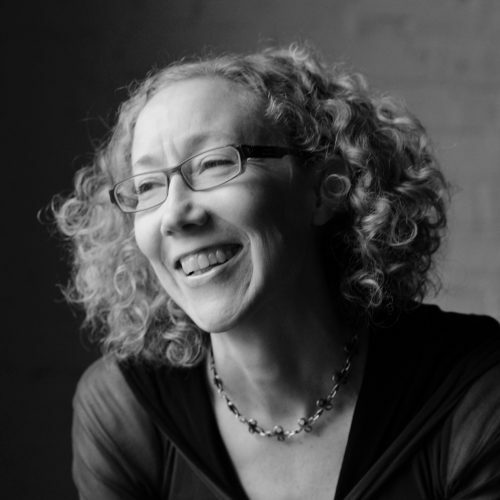 Bonier earned both her professional MArch and her PhD in Architecture from the University of Pennsylvania, and a BA in History from Harvard College. Her dissertation addressed historical ideas of equilibrium and democracy and their relationship to urban water, infrastructure, and landscape, and she has published on issues of urban water and remediation in both historical and contemporary contexts. Her current work centers on the consideration of democratic engagement, civic place, and personal delight in contemporary urban and infrastructural remediation projects. Professor Bonier is co-director and co-founder of the Carleton Urban Research Lab (c-url) with Professor Ozayr Saloojee. C-URL is engaged in collaborative interdisciplinary research, teaching, and design projects centered on the entwined issues of water, cities, and equity. Professor Saloojee previously taught at the University of Minnesota’s College of Design, where he was Associate Professor of Architecture with affiliate faculty status in Landscape Architecture and Religious Studies. Before moving to Minnesota in 2005, he studied, taught and practiced architecture here in Ottawa, receiving his B.Arch and Post-professional M.Arch (Theory and Culture) from Carleton University. He completed his PhD at the Bartlett School of Architecture under the supervision of Dr. J. K. Birksted and Dr. I. Borden. Professor Saloojee teaches courses in architectural design, urbanism and history that focus around themes of infrastructure, post-coloniality, and alternative urban futures. His research and academic interests include work on politically contested terrains, resiliency and adaptive infrastructures and landscapes through the intersection of architecture, landscape and cultural geographies. He continues to work in partnership with colleagues at the University of Minnesota and remains involved in a number of interdisciplinary, multi-partner collaborations, including the Great Lakes Design Lab (directed by Professor Karen Lutsky). Here in Ottawa, he partners with Professor Catherine Bonier on our newly established Carleton Urban Research Lab (C-URL) at the Azrieli School of Architecture and Urbanism. Romano Ian Dayagbil finished his B.AS in 2018 with a concentration in Urbanism. He has helped coordinate the 2018 Summer Cities symposium and provides educational and research support. Felix Mayer completed his B.EDS degree with a major in the architectural cooperative program in 2017 at Dalhousie University. He is currently in the M.ARCH I program and provides research and administrative support. Charles-Étienne Déry is an undergraduate 4th year student in the urbanism concentration. He has assisted with the Summer Cities event and continues research & project support. Viktor Ivanovic is an undergraduate 4th year student in the urbanism concentration. He has assisted with Summer Cities Symposium 2018 and provides support through the year. Andrea Tamayo Bernal is an undergraduate 4th year student in the urbanism concentration. She has assisted with the Shifting Frames and the Fluid Infrastructures event. 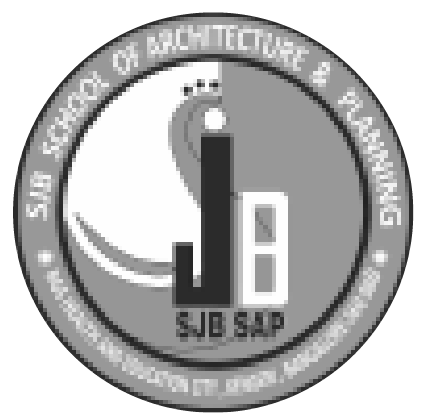 SJB School of Architecture and Planning aspires to provide a pro- poor, pro- rural focus to a profession that is otherwise perceived to be elitist and urban. Ecology North was founded in 1971 by a group of dedicated volunteers in response to arsenic pollution in Yellowknife. Since then our mandate has expanded considerably with projects tackling issues like climate change, waste reduction, water quality and food sovereignty.